Show Racism the Red Card - Review of BBC Three's "Glasgow Girls"
Review of BBC Three's "Glasgow Girls"
“Glasgow Girls” was first shown on BBC Three last week. It is a musical drama based on the true story of a group of teenagers whose fight to save a friend from deportation inspired a community and won a nation’s hearts. 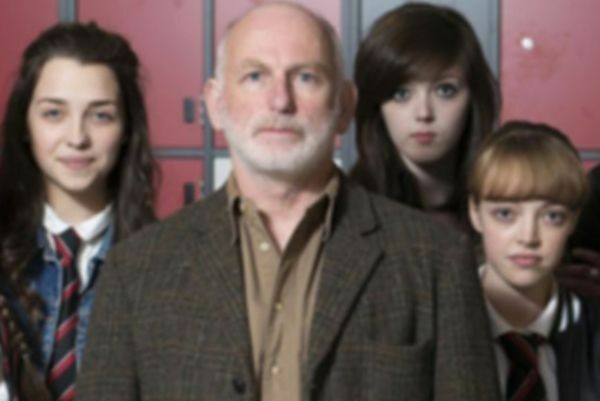 “Glasgow Girls” was first shown on BBC Three last week. It is a musical drama based on the true story of a group of teenagers whose fight to save a friend from deportation inspired a community and won a nation’s hearts. More importantly, it was this movement that led to an overhaul of the system that was set up to detain and remove asylum seeking families. The practice of the removal of asylum seeking children during exam time was also stopped. The emotional journey of the classmates, their teacher and their community is lightened with a scattering of Glaswegian banter and jokes, but also with a representation of the reality of some of the misinformed beliefs and negative attitudes surrounding refugees and asylum seekers in Scotland. Glasgow had previously seen an influx in asylum seekers due to the city council’s decision to sign a contract with UK Border Agency’s dispersal programme – the only local authority in Scotland to do so. By the end of 2001 Glasgow had 8000 new temporary citizens who had been moved there on a no choice basis. Around 80% of these were families with children. (Mother at the local school). (Young boy of about 10 years old. When asked who told him that, the boy simply replies that it was his dad). (Resident of the local area). The serious and damaging nature of these attitudes may be slightly diluted by the comical and stereotypical ways in which their characters present them, but they certainly ring true with the real voices of the young people that Show Racism the Red Card work with in their anti-racism workshops. Regularly our education team come into contact with pupils in both primary and secondary who believe that “all immigrants are here illegally”, and that “refugees and asylum seekers steal our jobs”. A memorable moment from last year’s workshops was when a 10 year old boy pointed towards the words Asylum Seeker and said that he “hated them”. When asked about this he said it was because his “mum lost her job and it was their fault”. What the retelling of the ‘Glasgow Girls’ story will hopefully do is highlight the problems faced by asylum seekers and refugees, and get people thinking about the real facts, sanctions and hardships of the asylum seeking process. It shows that our community is one, and that we each have a responsibility to recognise and support the individuals within it. The drama comes at a poignant time. With immigration being in the spotlight just now, and being pushed to the forefront of many political agendas, it is a dangerous time for misinformation and media hysteria to breed. Prejudiced and discriminatory attitudes surrounding immigration are indeed becoming more and more of a priority within Show Racism the Red’s workshops. The recently proposed (yet publicly unpopular) demolition of the Red Road flats in Glasgow as part of the spectacle for Glasgow’s 2014 Commonwealth Games opening ceremony initiated discussion amongst the community about the remaining inhabited building – one which is used to house refugees and asylum seekers. The demolition was subsequently postponed. Glasgow is a bustling city just now. 4500 athletes from 71 commonwealth nations and territories have travelled here along with their many thousands of supporters to take part in the 2014 Commonwealth Games. It is a time to be proud hosts and to embrace the vibrant atmosphere where nationalities and cultures will collide and celebrate together. ‘People Make Glasgow’ is a familiar slogan to many of the residents of this city. The story of the ‘Glasgow Girls’ is a real testament to that. The policy of detaining children for immigration purposes was ended by the UK coalition government in 2010. The Glasgow Girls’ campaign played an important part in this decision to change the law.